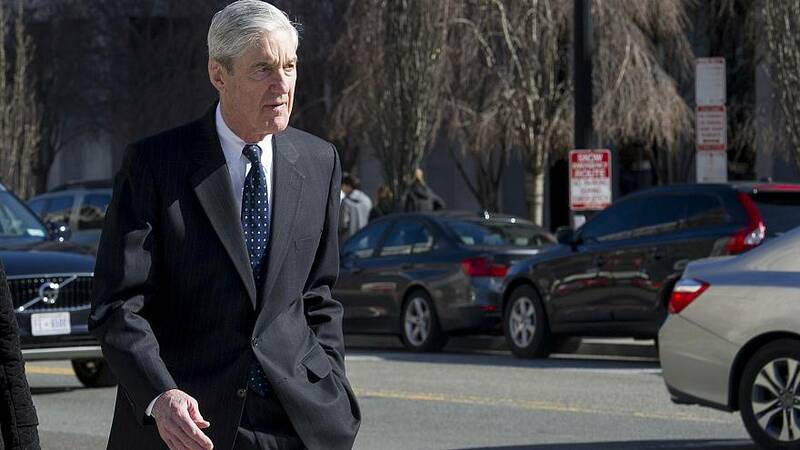 Almost two years in the making, a redacted version of special counsel Robert Mueller's report on the Trump campaign and Russian meddling in the 2016 election is expected to be made public Thursday morning. Mueller's team of 19 lawyers and 40 investigators interviewed approximately 500 witnesses, issued 2,800 subpoenas, reached out to 13 foreign governments and executed almost 500 search warrants in the probe, which began in May 2017. Many of those interviewed included those who've been at the highest levels of the White House, including former chiefs of staff John Kelly and Reince Preibus, and ex-White House counsel Don McGahn. The probe led to 35 people and three companies beingcriminally charged, including former national security adviser Michael Flynn, Trump's former campaign manager Paul Manafort and the president's longtime personal lawyer Michael Cohen. The nearly 400-page report is expected to shed light on the Russian government's attempts to boost Trump, and any interactions Moscow's agents might have had with his campaign, including more details about a Trump Tower meeting involving Manafort, Donald Trump Jr. and a Russian lawyer who promised "dirt" on Hillary Clinton. The report also deals with whether President Donald Trump later tried to obstruct Mueller's investigation. A number of categories of information are being removed from the public version of the report, including grand jury information, anything the intelligence community believes would reveal sources and methods, material that could interfere with ongoing prosecutions and details that impinge on "the privacy or reputational interests of peripheral players where there's a decision not to charge them," according to Attorney General William Barr. Barr said he and members of Mueller's team have been working on the redactions together since he received the report on March 22. The attorney general said the redactions will becoded with four colors signaling the four categories of deletions so readers will know why the items were edited out of particular sections, even if they are not privy to the info itself. HOW WILL THE REPORT BE RELEASED? The Department of Justice says it will submit the redacted report to Congress and the public Thursday morning. NBC News will post a copy of the document on nbcnews.com as soon as it is available. WILL NEW CRIMINAL CHARGES BE REVEALED? No. According to a four-page summary of the investigation released by Barr on March 24, Mueller "did not establish that members of the Trump campaign conspired or coordinated with the Russian government in its election interference activities." On the question of obstruction of justice, Barr said Mueller wrote that "while this report does not conclude that President committed a crime, it also does not exonerate him." Barr said that left the decision up to him, and he found the evidence was "not sufficient" to establish an obstruction of justice charge. THEN WHAT WILL IT SHOW? While Trump has maintained Mueller's report is a "complete and total exoneration," it is expected to include politically damaging disclosures. A senior law enforcement official who has spoken to Mueller's team told NBC News earlier this month that the report includes detailed accounts of Trump campaign contacts with Russia that paint the campaign team as easily manipulated. 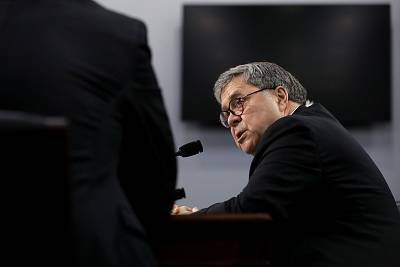 WhileBarr's summary said that "most" of Trump's actions in the obstruction probe have been publicly reported, that suggests some of them may not have been. An official who spoke with members of Mueller team said they believe the evidence that Trump sought to interfere with the probe was stronger than Barr had suggested in his letter last month. 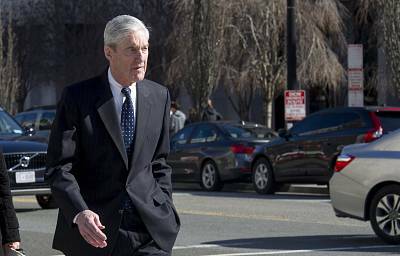 And NBC News reported Tuesday that some of the more than one dozen current and former White House officials who cooperated with Mueller at the request of Trump's legal team are now concerned they'll be exposed for providing damaging information about the president to investigators when the report is released. "They got asked questions and told the truth, and now they're worried the wrath will follow," one former White House official said. Not even close. Congressional Democrats have said they believe Barr is protecting Trump, and are demanding a full unredacted copy of the report. Barr, who has offered to try to work with lawmakers seeking more information than what he is making public, is expected to testify about the report's findings in May, and Democrats have suggested they'll call Mueller to testify as well. The House Judiciary Committee voted to authorize a subpoena for the full report earlier this month if Barr doesn't turn the whole thing over. "The Constitution charges Congress with holding the president accountable for alleged official misconduct," Judiciary chairman Rep. Jerry Nadler, D-N.Y., said before the vote. "That job requires us to evaluate the evidence for ourselves — not the attorney general's summary, not a substantially redacted synopsis, but the full report and the underlying evidence." Trump's legal team, meanwhile, is planning on issuing a "counter-report" on Thursday refuting Mueller's findings, which the president's lawyer Rudy Giuliani told Politico would be "34 or 35" pages in length. "The more concise the better. 400 pages is a novel," he said.